For most people, Lemmenjoki - which can be translated as Love River - is a state natural park in Lapland, a slice of virgin Arctic nature. For decades, deposits of gold have lured prospectors here. However, placer mining is not what brings a group of Finnish DXers to this desolete location on their annual pilgrimage, known as a DXpedition. 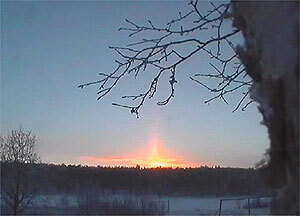 Lemmenjoki is located in the northern part of Finland (location 26° 19' E, 68° 46' N), southwest of the town of Inari. Esa Hänninen, one of the pioneers of Finnish DXing, discovered this lakeside cottage on the edge of the park in 1981. Although the first DXpeditions to Lapland date back to the early 1970's, only a decade later in Lemmenjoki did DXers begin to build permanent antenna installations. This greatly contributed to the popularity of Lemmenjoki as a DXpedition destination, where almost 400 DXpeditions had been held by the end of 2017. Since the early 1980's Lemmenjoki has hosted a nearly non-stop flow of DXers, usually two at a time, from September or October to January, February or even March each winter. A post-WW2 wooden cabin, which offered only very basic accommodation and cooking facilities, had been renovated over the years, for instance the chimney was completely rebuilt by DXers. In 2010, when the owner of the cabin died, DXers moved next door to what used to be her home, now rented out by the sons of the former owner. Even the old cabin could be used around the year. An American radio station once asked me if Love River refers to the way we keep warm up there... Unfortunately, the truth of the survival game is less exotic. In extreme weather the electric radiators were not enough to keep the chill out, but feeding the fire in the wooden stove kept the cabin warm - and chopping the firewood kept DXers warm. 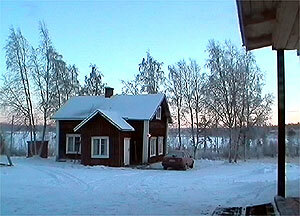 Lemmenjoki's popularity began to decline in 2010, when Aihkiniemi DX cabin, with better antennas, was built. In any case, Lemmenjoki still hosts an impressive array of 11 Beverage antennas, each roughly one kilometer in length. As the winter weather is harsh, all visiting DXers are obliged to check the antennas, which means quite a lot of footwork and occasionally some repairs for every DXpeditionist. The antennas and other equipment are maintained and shared by a group of devoted Finnish AM DXers, who have invested in the place over the years. 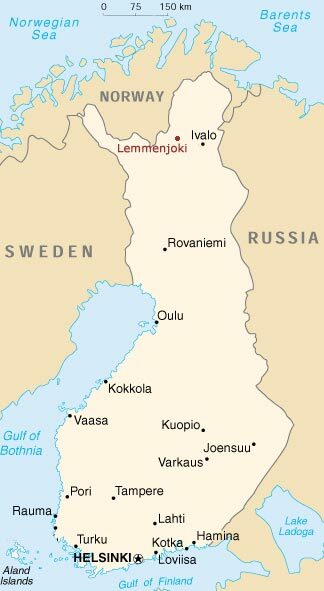 Most of them live in the capital Helsinki area 1100 kilometers (700 miles) south of Lemmenjoki. Due to its northern location, the sun no longer rises above the horizon in early December in Lemmenjoki. However, with snow on the ground and the sun lighting the skies even from below the horizon, daylight conditions still exist from around 10 a.m. to 2 p.m. Consequently, in midsummer Lemmenjoki enjoys 24 hours of daylight. Thanks to this northern location, midwinter offers a continuous dark path to various parts of the world required for long distance AM reception. The location is also mostly free from man-made interference, and - if compared to southern Finland - much further away from the many strong and interfering Central European stations. Lemmenjoki is Arctic wilderness at best. Reindeer clearly outnumber people and can be seen by every visitor; more exotic animals are less visible. Houses are few and far apart. In winter, during the prime DX-season, the weather can be extreme; a record low of -52 degrees Celsius (-61 F) was measured in January 1999. As you can imagine, maintaining the antennas can sometimes be quite a challenge. Want to experience more? Watch a video report (in Real Media format) on DXing in Lemmenjoki by Mika Mäkeläinen, or listen to a radio report (6.9 MB in MP3 format) by Jonathan Marks for Radio Netherland's Media Network. You can also check out reports from some DXpeditions in Lemmenjoki by clicking on links in the right column. For a comprehensive report on the highlights of the ongoing or latest DX season in Lemmenjoki, visit LEM DXpedition News (mostly in English), maintained by Tapio Kalmi. Mika Mäkeläinen's DXpedition reports from Lemmenjoki can be found here. Below are more links to older DXpeditions in Lemmenjoki.